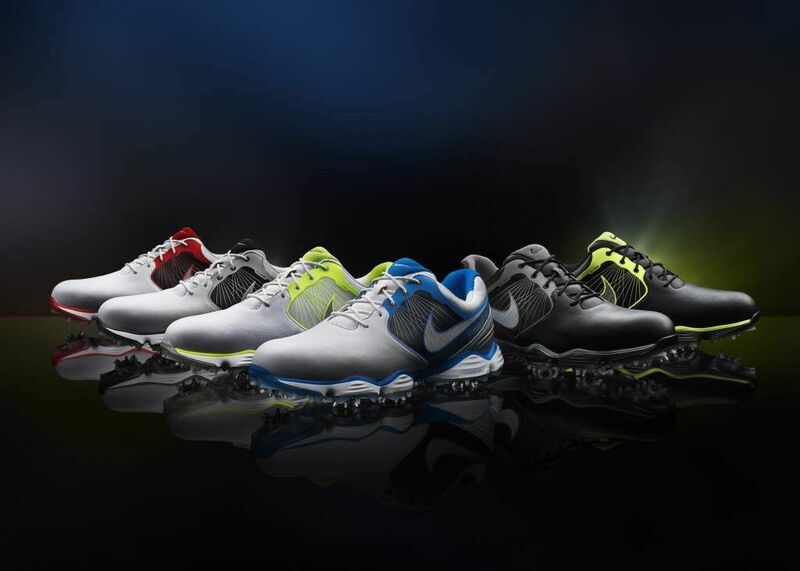 BEAVERTON, Ore. (November 8, 2012)– Nike Golf Athletes will debut the latest Lunar Control footwear at the Children’s Miracle Network in Orlando and in Dubai for the European Tour’s DP World Tour Championship. The new Nike Lunar Control footwear, available January 1, 2013, imparts innovation in every detail, delivering performance that exceeds athletes’ expectations. Distinguishing from the original Nike Lunar Control golf shoe, the new Lunar Control footwear features a full-length Lunarlon cushioning system, providing lightweight comfort, optimal ground-feel, and all-day support throughout the entire shoe. The Lunarlon cushioning system is a proprietary technology from Nike that offers comfort and stability where athletes need it most. The Lunarlon Foam midsole is lightweight, durable and highly responsive, resulting in a unique combination of cushioning and support. Another differentiating detail from the original Lunar Control is increased Nike Flywire technology, wrapping from the midfoot to heel to provide targeted support and lightweight structure. A Nike Power Platform stabilizes the foot to offer better balance, smoother weight transfer and more power through impact. Working in conjunction with the Power Platform is the patent pending Power Transfer Zone technology which allows for constant contact and a smooth transfer of power at impact. This construction of the saddle panel combined with a carved out TPU, works with the foot to allow natural range of motion and improved flexibility. This technology not only elevates performance, but it has also reduced the weight of the original Nike Lunar Control from 14.6oz to 13.4oz (.6oz per shoe). The Nike Lunar Control will be available in 6 colorways with wide options. Sizes: 7-12, 13, 14, 15 (MED); 7.5-12, 13, 14 (WIDE).